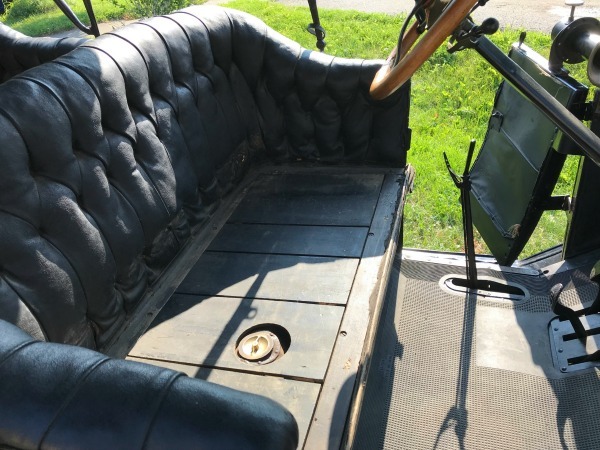 Model T Ford Forum: What can you tell me about my 1913 Canadian touring body number? Hap Tucker? 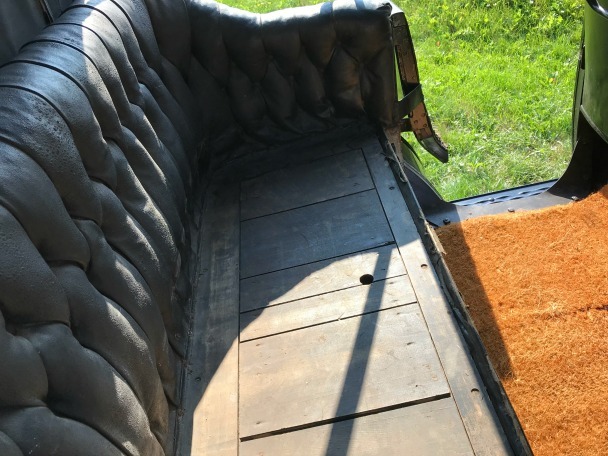 What can you tell me about my 1913 Canadian touring body number? Hap Tucker? 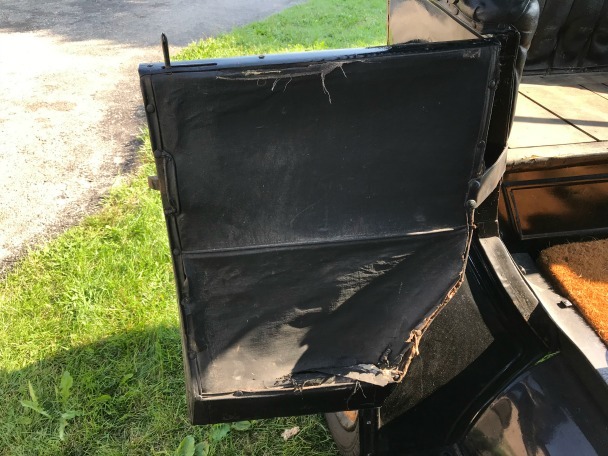 Model T Ford Forum: Forum 2018: What can you tell me about my 1913 Canadian touring body number? Hap Tucker? 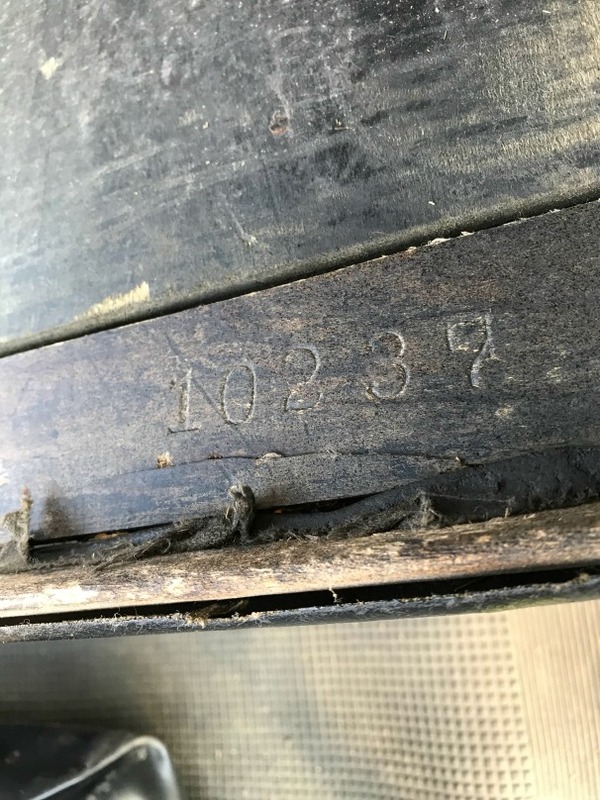 This is the body number on my grandad's Canadian 1913 touring: 10237. Any ideas as to who made it? Thanks in advance! There could be a letter struck lightly into the wood to the left of the numbers but can't see it in this photo. 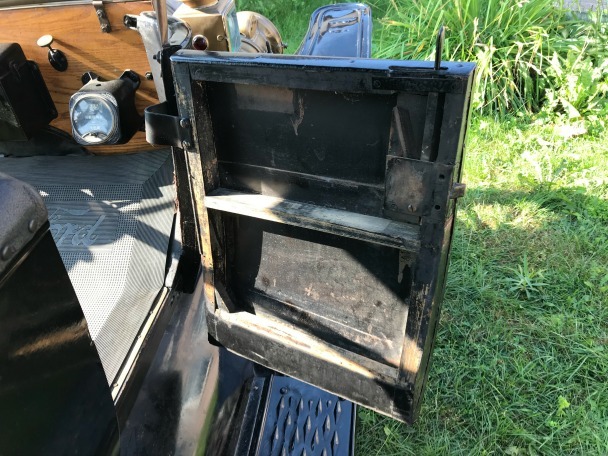 Did you check the metal heel kick panels front and rear seat for a letter? It almost looks like a "W" about a half inch from the "1". 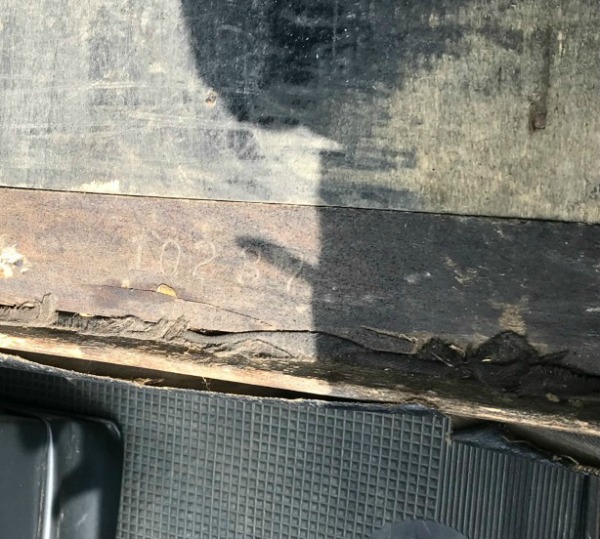 IF it is a letter, and not just a mark in the wood, scratches from somebody's shoe, shadow in the photo, etc, it could indicate Wilson. However! Being a Canadian car, it should be a Canadian body manufacturer by 1913. Most Canadian Fords had Canadian built bodies even for the NRS cars. It may be possible that some USA built bodies might have been used as production increased if the Canadian builders couldn't keep up. I don't have any of the good books on Canadian production (like "Shadow of Detroit"), so don't have the names handy for Canadian body builders. Somewhere amongst the million and a half useless responses may be some good information. Ken & Wayne: My good and longtime friends Ross Harris, and Scott Kramer, both posters on this forum, were here this afternoon for a visit. I was tinkerin' with the car. We had the '13 out on the front lawn in the afternoon sunlight and could not find any letters anywhere on the body wood or metal. 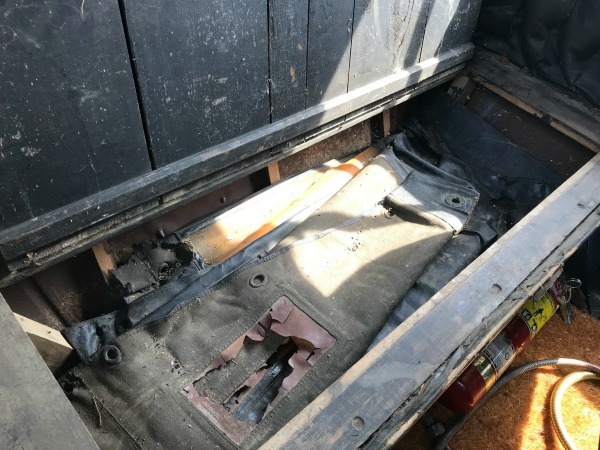 I did pull out the original side curtains from under the rear seat to look at them, and found the original Ford tool bag under the curtains! Check the bottom of the doors. For Wayne -- you are correct that the posting at: http://www.mtfca.com/discus/messages/257047/319626.html?1354866221 "...had some information of limited value." But that posting has years of effort put into gathering that small amount of data. Canadian information is just not nearly as well documented as the USA production data. 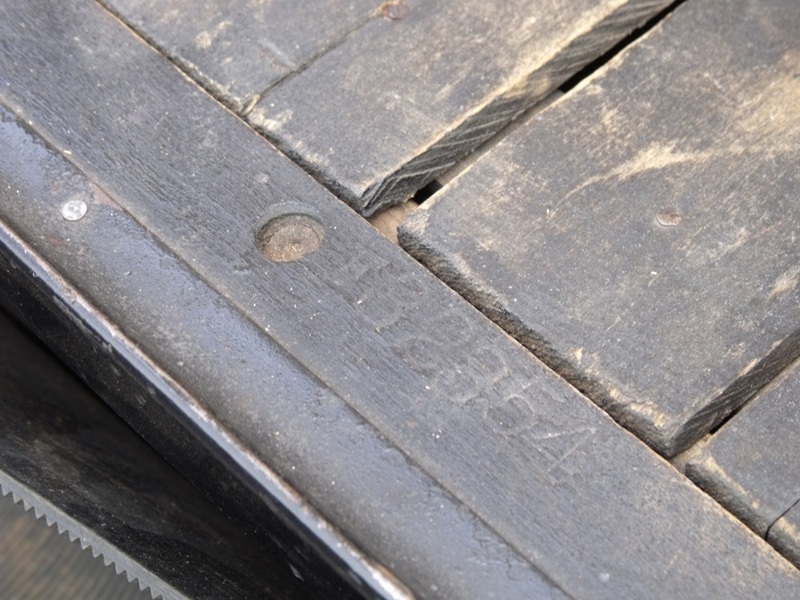 We know that the 1912 style Canadian touring cars had a "G" at the front of the body number. That "G" was for one of the company names that William Gray and Sons had (the name changed a few times). And we know that is also true for a Canadian 1914 tourer found in Tasmania (Australia) (yet to get original engine number) but rounded doors, rear folding windscreen etc. F32854. 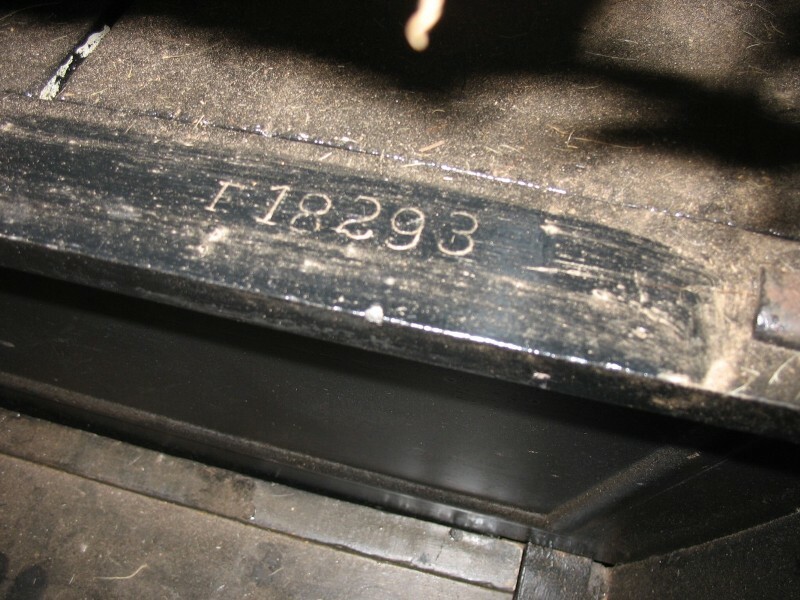 Would you please share all but the last 2 digits of the engine serial number as well as the number stamped on the ID patent plate. I.e. 1771xx or whatever it is? 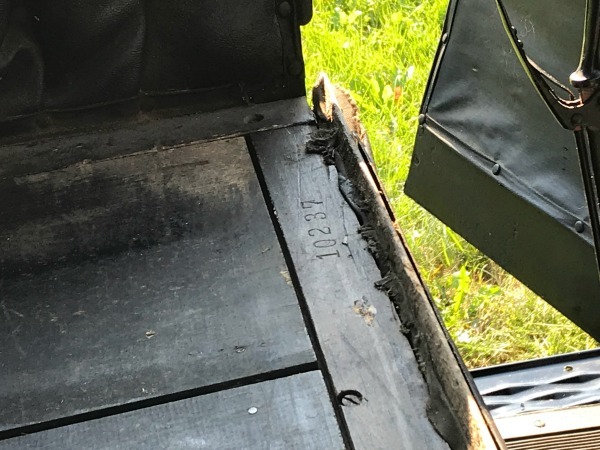 And as Ken Parker mentioned -- on some USA production 1913 bodies they stamped the body number into the wood on the underside of the doors. Finally, please send me some higher resolution copies from several different angle of the body number. And if you have a tooth brush etc. please dust off the area. Allow several inches on either side of the number. 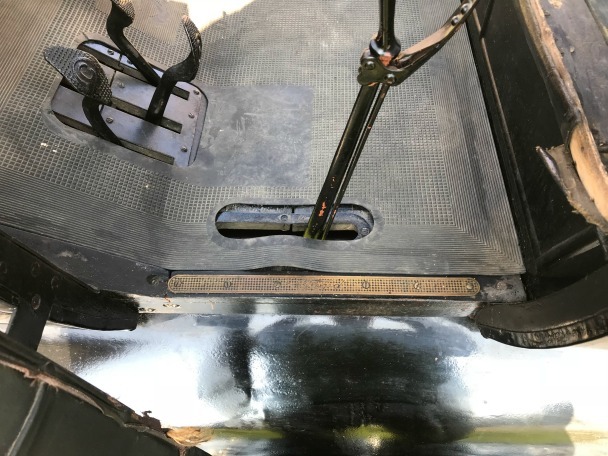 Hopefully we will be able to add a new lower body number to our know "F" Canadian bodies. But if not -- that is OK -- we will be able to add a data point and look for additional ones related to it. Thanks so much for all the information!!! As always you're a treasure trove of help Hap!!! Sadly, the patent plate is missing, but the rad has it's original Walkerville Ontario tag. This is a very original car with only the seat cushions, top cloth and firewall being changed out. The tires I took off of it this week were installed prior to 1956. 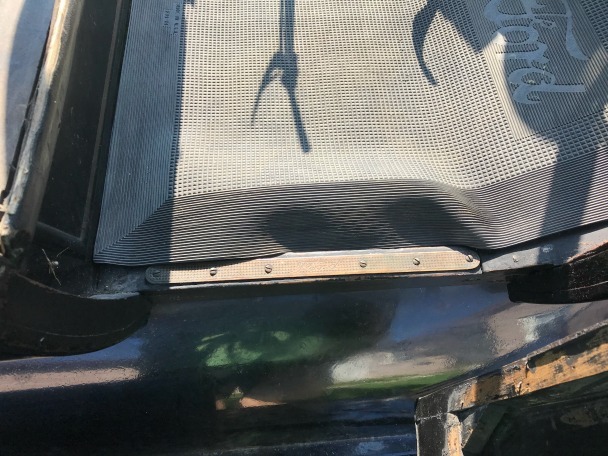 There's a high likely hood the patent plate still exists as I have to go and get all the boxes of stuff that was with the car when it was in storage in a couple of weeks. This car has a lot of features that are more 1912-ish than '13. 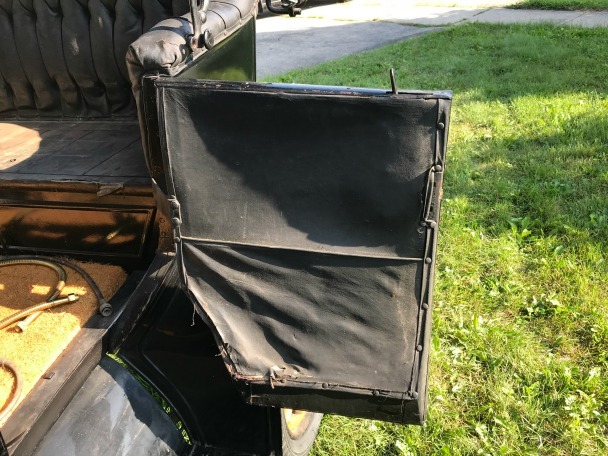 For example, the steering column with it's hard rubber knobs on the levers, the firewall dash shield is two piece,one being attached to the floor board, and the other on the firewall. 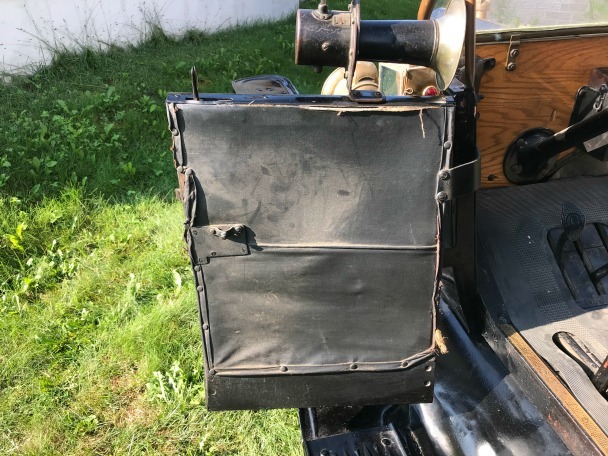 The lights are all brass, not brass & steel, the windshield supports are brass, hub caps are 1912 style. 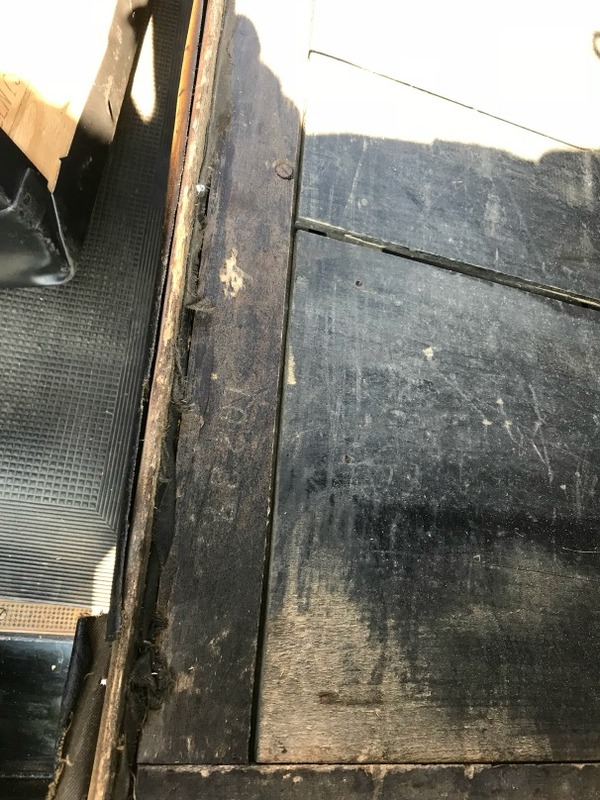 There's diamond ribbed "Ford" thin brass "step" plates on the floor around both front doors. That's all I can think of off the top of my head. One thing is for sure. That AC speedometer needs to be mounted somewhere else! The correct Stewart speedometers are not difficult to find.